Most of these diseases can be treated without any future loss of vision. Each Optomap® image is as individual as fingerprints or DNA and can provide us with a unique view of your health very quickly and comfortably. The Optomap® retinal exam offers many additional clinical and patient benefits. The Optomap® image is captured in less than a second and is immediately available for review with you, to help you better understand the health of your eye. Because of the superior documentation ability of the Optomap®, we can monitor any condition more accurately as it progresses and assists with the treatment. It also gives us an accurate permanent record, from which we will have dedicated time to study, diagnose and better treat your condition. 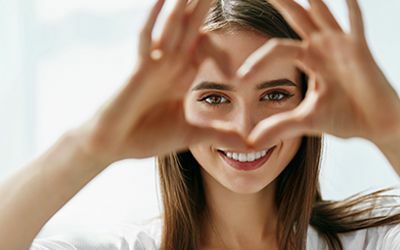 Your peripheral vision, or side vision, is very important for your visual function and is also affected by many eye conditions, such as glaucoma, strokes, diabetes, and tumors. The visual field test focuses on the pathway from your eye, across and through your brain to your occipital lobe. It will evaluate places we can't see. Most of the time, these subtle changes in peripheral vision go unnoticed by the patient. Taking the Humphrey Automated Visual Field test allows us to detect any vision loss that may have otherwise gone unnoticed. This will lead to the detection of many serious diseases. This painless test is important for detecting serious health conditions, such as glaucoma, retinal detachments, optic neuritis, retinal blood vessel blockage, brain tumors, ptosis (lid lag), autoimmune conditions like lupus, and many others. This simple test will help detect and prevent serious vision loss and health problems. Sitting in front of a concave dome, a computer-driven program flashes small lights at different locations within the dome's surface, and you press a button when you see the small lights in your peripheral vision. Your responses are compared to age-matched controls to determine the presence of defects within the visual field. The test will detect any loss of peripheral vision and provide a map of that loss, which will be helpful in diagnosing the cause. The peripheral vision is normal in extent. Abnormal results may indicate diseases or central nervous system problems, such as tumors that damage or compress the parts of the brain that deal with vision. 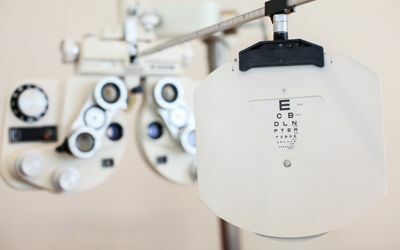 Other diseases that may affect the visual field of the eye include diabetes, hyperthyroidism (a condition where the thyroid produces an excess of hormones), hypertension, diseases of the pituitary gland and multiple sclerosis. When diagnosing various eye problems, including glaucoma, ultrasound pachymetry allows us to better prescribe a course of treatment. When measuring the pressure of the eye for glaucoma, many measurements are inaccurate because the front surface of the eye, or the cornea, is thicker or thinner than normal. Pachymetry, or the measurement of the thickness of the cornea, is an integral part of the glaucoma examination. Thin corneas alone, regardless of the eye pressure, have also been found much more often in people with glaucoma. ​​​​​​​For more information about technology at Eye Site Vision Center, contact our offices in Coral Springs, Lighthouse Point, or Boca Raton, Fl.